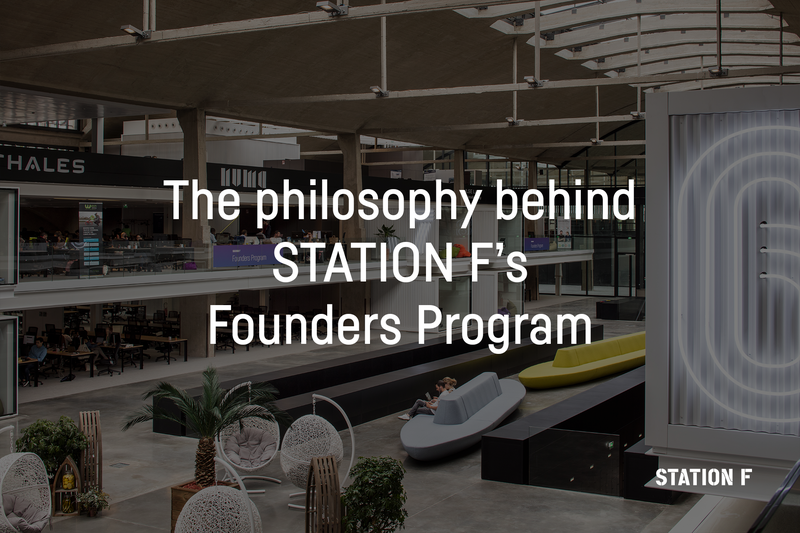 Today we are celebrating the first 6 months of the Founders Program, STATION F’s in-house program for early stage startups. We inaugurated the program last July and we’ll have more startups joining the program this month. Therefore, we felt it was a great time to give you a bit more details on the Founders Program’s philosophy. We began designing the Founders Program prior to our opening in 2016. In order to do so, we interviewed and met with hundreds of startups and entrepreneurs from various industries, development stages and locations. It became clear to us that we had to account for a wide variety of needs depending on the profile of the company. The entrepreneurs we met with all had different aspirations, ways of spreading and consuming knowledge, and preferences regarding social interactions. Naturally, all this had to be taken into account. Ultimately, after speaking with tons of entrepreneurs, it became apparent that a number of early-stage startups were seeking the same things: maximum flexibility, high-quality or proven resources and access to other entrepreneurs to learn from. This is the main idea behind the Founders Program. In an increasingly connected world where participatory culture is required to survive, some education approaches are way outdated : working alone, in silos, not being able to cheat or “get inspired” by others etc. “an organization that is able to amplify its intelligence well beyond the capacity of any individual member of the group by working together”. Wikipedia, Youtube (no Logan Paul, you are not in that category, sorry) are great examples of collective intelligence processes but other great cases can be found such as “Twitch Plays Pokémon” that shows the “true strength of collective purpose” even if they are “working on a seemingly unimportant goal” (common, leveling-up Pikachu is not that serious!) More seriously, we can think of Bug Bounties campaigns or co-creation communities like InnoCentive that outsources companies’ research. The Founders Program therefore heavily encourages collective intelligence. Better yet, we have a very diverse and selective community (only 8% of applicants are invited to join the program), so entrepreneurs benefit from working with other ambitious startups from a wide variety of backgrounds and industries. The Founders Program provides all members with daily workshops on a variety of topics: Sales, HR, Tech and IT, Legal, Comms, Design / Product, Finance, and Growth / Marketing. All topics are organized around 1 “Core workshop” covering the basics, followed by a series of specific workshops. For instance, HR workshops go from legal contracts to building a company culture. In addition, Founders can access “labs” (learning experiences based on their own immediate needs) and office hours (direct one to one sessions) with the speakers. All workshops and office hours are conducted by current of former entrepreneurs and investors — only. They have a first-hand knowledge of what it’s like to build a startup and, let’s face it, won’t spend any time providing unnecessary advice! Every session is à la carte meaning it is up to our startups to decide which sessions are right for them. The Founders Program has hosted workshops by the founders of WeTransfer, Algolia, Sunrise, Blablacar, Aircall, MyLittleParis, Leetchi and many more. The Founders Program features many more resources, but this sums up our core philosophy. If you are an early-stage startup interested in applying for the Founders Program, please apply online here. The next startups will be able to join the program in July 2018.